Sakshi Tanwar, who changed the face of the Hindi TV industry, has added another feather to her cap but this time on the personal front. 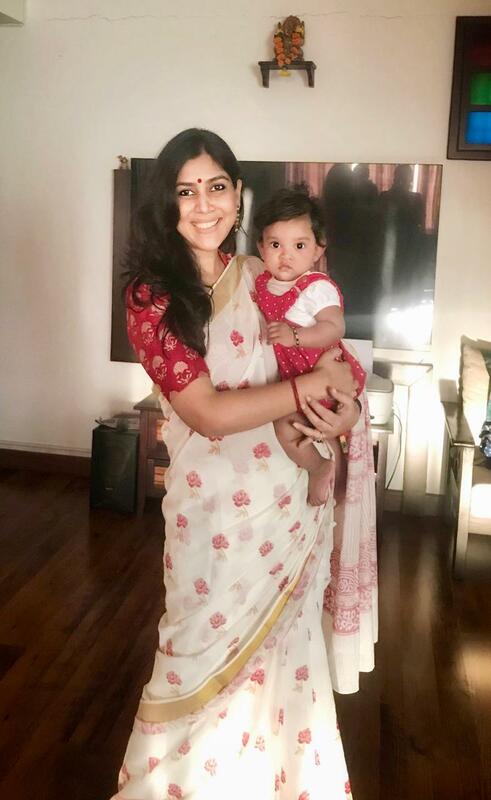 One of the most loved and appreciated actresses, Sakshi Tanwar has shared the good news of adopting a baby girl whom she has named Dityaa. The baby girl is just nine months old and she has already brought happiness not just in Sakshi’s life but to the entire family as well. The Dangal actress considers the baby to be the blessing of Goddess Lakshmi and therefore has named her Dityaa which means Goddess Lakshmi’s name. Other than that, the meaning of Dityaa is also the one who answers prayers. Check out the first photo of the baby girl. Sakshi Tanwar has been one of the most loved names of Indian Television and is known for her shows Kahaani Ghar Ghar Kii, Bade Achhe Lagte Hai, Devi and others. The actress also impressed the audience with her performance in the blockbuster hit Dangal as Aamir Khan’s wife.